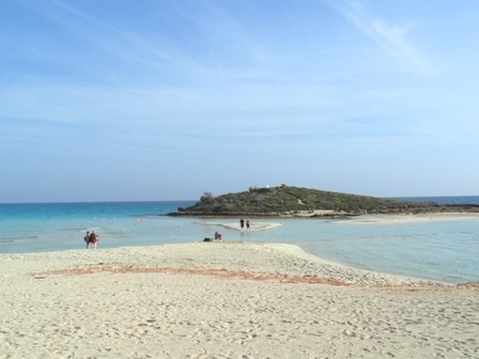 With its crystal clear waters and gently shelving white sand, Nissi Beach is gorgeous to look at and a great place to chill out and top up your tan. 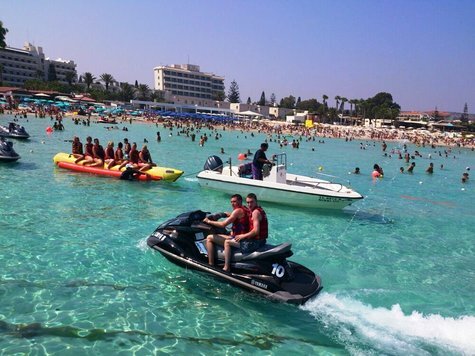 It has a selection of places to eat and drink, various watersports including jet-ski's, banana boats and pedaloes. 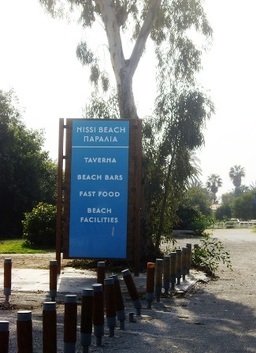 It also boasts a diving centre, a volleyball court and of course, toilets, showers and changing rooms. 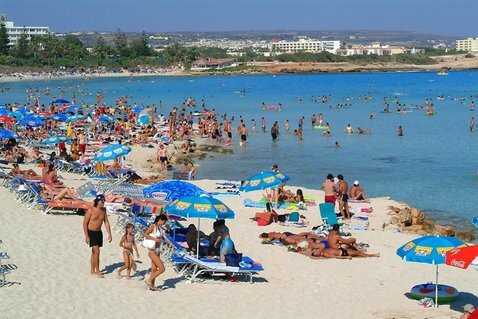 Ayia Napa's most famous beach! 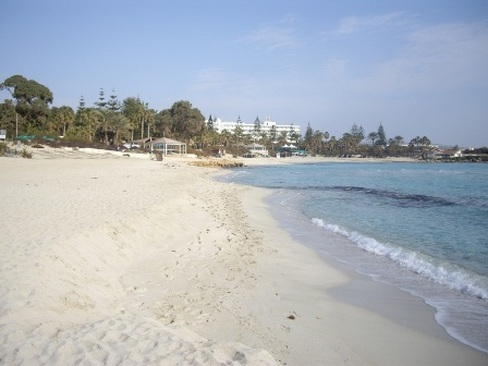 No Visit to Ayia Napa is complete without some time spent at Nissi Beach. 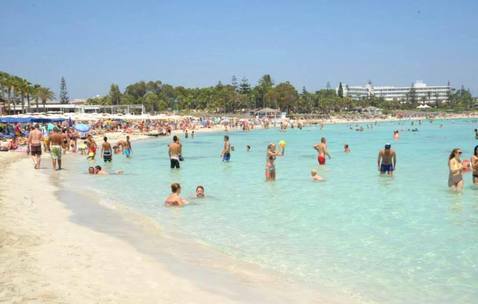 It's not only Ayia Napa's biggest daytime hot spot but one of the most popular beaches on the whole island of Cyprus. 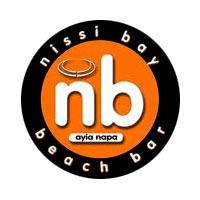 Everyday from May until October beach parties are held at the Nissi Bay Beach Bar featuring some of Ayia Napa's best known DJ's as well as guest artists and celebrities. 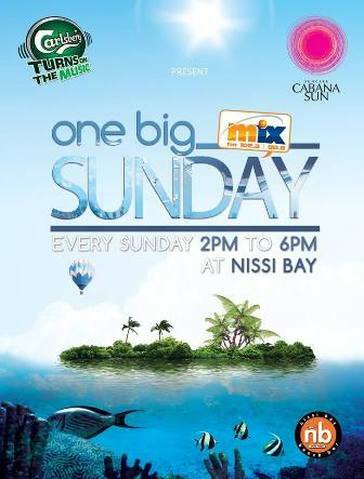 Expect special guest appearances, dance contests, foam parties and all kinds of fun and shenanigans. In early November the sun loungers are packed away and the watersports put away until April. 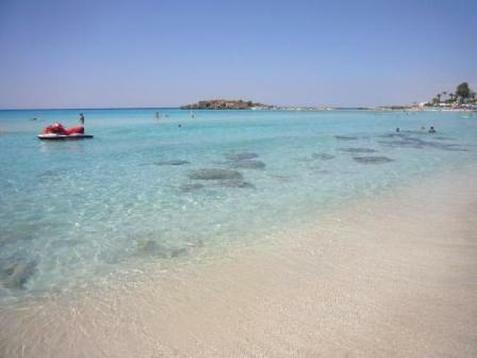 Winter temperatures can reach up to 25 degrees so visiting Nissi Beach in winter is peaceful and calm.